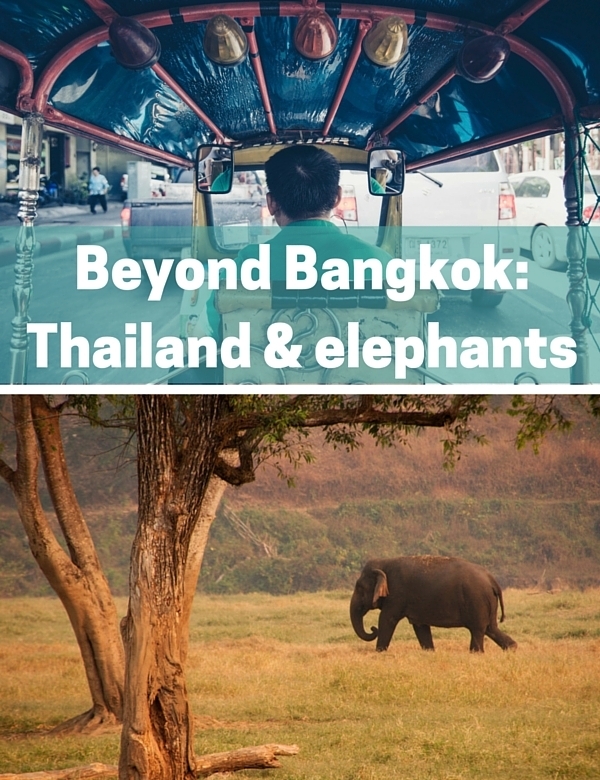 I’ve been meaning to write about Thailand, and elephants, for the longest time, but this week I got to interview my lovely friend Diana of DTravelsRound for the podcast and of course I asked her to talk about some of her experiences with elephants in Thailand. She’s the whole reason I got interested in this topic in the first place, and if you don’t know what she has to say, then it’s time you did (well I think so, anyway!). First things first. Thailand is another of those places which is really near Perth and yet I’ve barely explored. Plenty of my friends have been backpacking around Thailand, and I always think I will, some time. Like much of south-east Asia I feel like it’s “my backyard”, flying to Thailand in theory is really easy and rather affordable, so heading over to Thailand at any time is simple. Finally last year I did manage to get in my first visit to Bangkok, and it was even better than I’d expected. Big tick for the food (of course), huge tick for the friendly people (also something I’d anticipated), and generally enormous tick for making me feel like I want to return. Many years ago, my mum took a backpacking trip with a few friends and spent time in northern Thailand, and loved it. I’ve always wanted to follow her lead, plus we have relatives from that region too, so it seems a very obvious thing to do. Now, here’s the thing that I’ll do differently (and I’m sure my mum would too now, knowing more): she has these cool photos of her riding on an elephant, but that’s something I will now scratch from my list. It turns out that riding an elephant is actually not a fabulous thing to do from the elephant’s perspective. 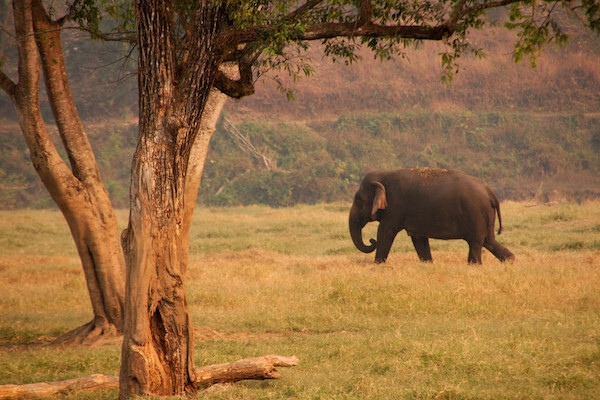 To make a long story short, it’s now been made pretty clear that any time an elephant is used to do something for a human (whether that’s hauling logs, giving rides, painting or any kind of performance) they’ve been through a ritual of, basically, having their spirit broken, and their mental and physical health is suffering. Elephants are smart: I’ve heard they’re equivalent to an eight-year-old child in terms of intelligence, which makes them smarter than my currently six-year-old son, and that is pretty smart, I have to say! Fortunately, there are some people around who are working to fix this. It’s early days, I suppose, but thanks to people like Diana I am seeing more and more people talking about this topic and I think for many people, being educated about it is enough. I don’t want to sound all preachy, and honestly, do what you want to do, but do be informed about it – fair enough? If you want to be informed it’s well worth a look at a post Diana wrote about the truth about elephants in Thailand (and beyond), and she includes a list of sanctuaries and other places where they are trying to do the right thing. (She also includes some fairly heartbreaking information about the regular abuse of elephants, just to warn you.) She worked for several years at Elephant Nature Park, which is a place I keep hearing about and am super-keen to get to when I eventually return to Thailand. *Elephant image from Christian Haugen via CC.